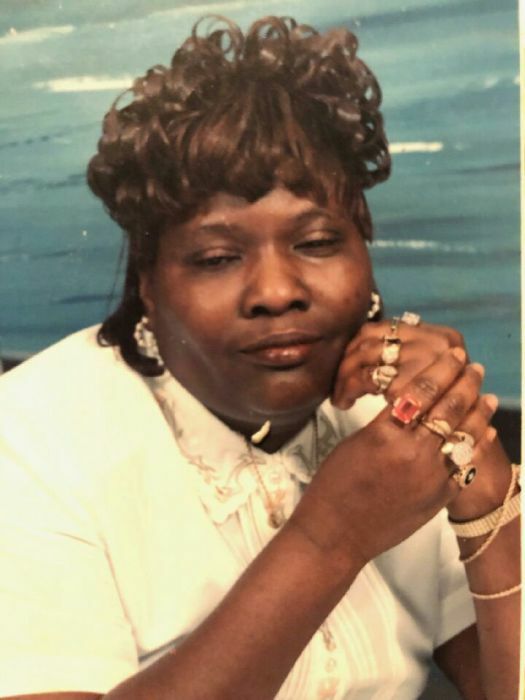 Minister Curby Seel McCray-Smith 60 of Tabor City transitioned into eternal rest on March 20, 2019. Gwen Wilson will deliver the eulogy. Burial will follow in the Flag Patch Cemetery in Loris, SC. Survivors are: Husband: Frank Smith. Daughters: Curby Hemingway (Randy) and Latosha Smith. Sons: Bozie McCray(Cathy), Franksmith (Lashonda), Ronnie Smith, Terrance Smith and Don Smith. Brothers: Tyrone McCray and Franklin McCray. Sisters: Susan Nealy, Priscilla McCray (Elijah Witherspoon), Tammie White and Lorene McCray. Grandchildren: 14 and Great Grandchildren: 8.